The York’s Winter Mufti Series celebrates composer Jule Styne opening with 1968 Tony Winner Hallelujah, Baby! 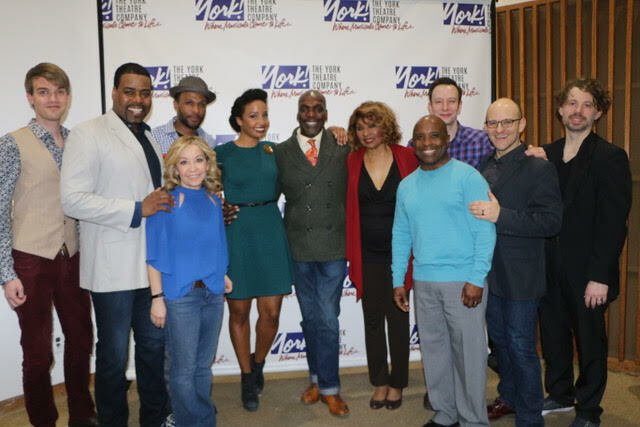 The York Theatre Company (James Morgan, Producing Artistic Director; Evans Haile, Executive Director), began the new year with its Winter 2018 “Musicals in Mufti” series celebrating the works of the legendary Broadway composer Jule Styne. This acclaimed series revises musical gems, performed in a simply-staged, book-in-hand concert format. This is the twenty-second season introducing us to shows that deserved a “second look” and Hallelujah, Baby! is their 108th show! Mufti means “in street clothes, without the trappings associated with a full production.” Hallelujah, Baby! opening in April,1967 and won the 1968 Tony for Best Musical. The music is by Jule Styne, lyrics by Betty Comden and Adolph Green, and book by Arthur Laurents. It ran for 293 performances but didn’t recoup the producers’ $500,000 investment. The theatrical device for the plot is that we travel through the decades of the 20th century and all the characters remain age 25. As Georgina, the lead character says, “Outside we don’t change. Inside? That’s a horse of a different color.” The show charts her journey, an African-American woman’s search to find financial and social independence during the tumultuous socio-political time in U.S. history, the struggle for racial equality. Hallelujah, Baby! launched the career of Broadway and TV legend Leslie Uggams, but was originally written with Lena Horne in mind who turned it down. This presentation marks the New York premiere of the revised version that Laurents created for productions at the George Street Playhouse and Arena Stage in 2004 and 2005, with additional lyrics by Amanda Green who was at the opening with her mother, Phyllis Newman, the widow of Adolph Green. Margaret Styne, Jule’s widow was also in the audience. The cast could not have been better with the luminous Stephanie Umoh as Georgina, Jarran Muse as Clem, Tally Sessions as Harvey and a brilliant turn by Vivian Reed as Momma. Dancers Randy Donaldson and Bernard Dotson entertained as Tip and Tap along with the supporting cast in various roles, Jennifer Cody, Michael Thomas Holmes and Latoya Edwards. 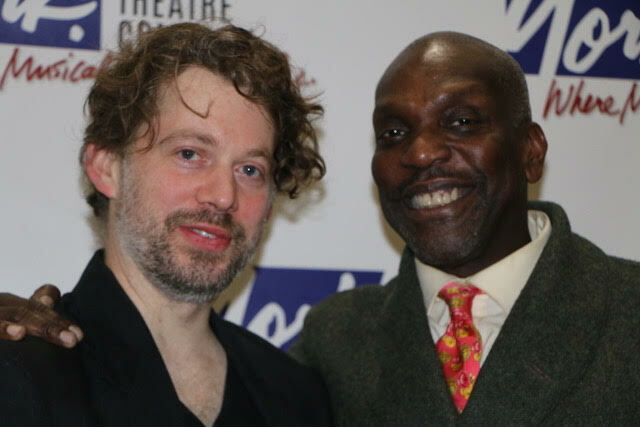 The musical direction was by David Hancock Turner with Richie Goods on bass and ably directed by Gerry McIntyre. 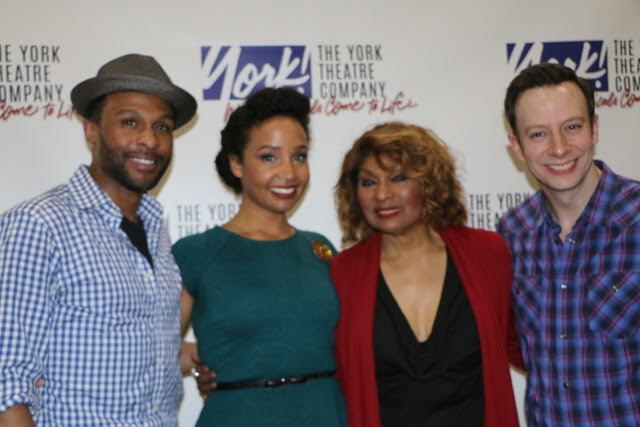 When the York’s Producing Artistic Director James Morgan came on stage to introduce the show, he explained that the cast had only seen the material on Monday morning, six days before and only a splendid cast and great producing team could have accomplished this amazing feat in such a short time. 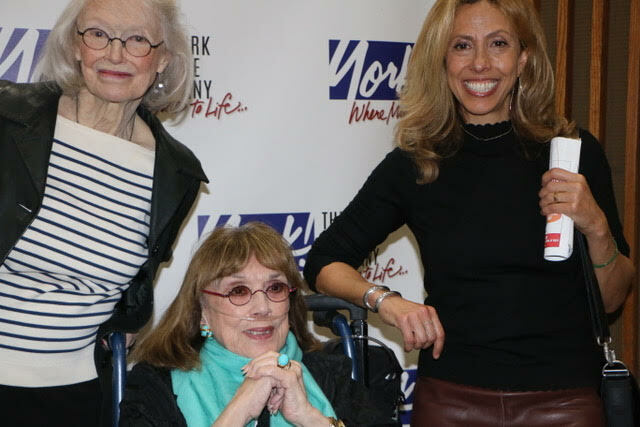 Kudos to all at the York for this outstanding series that gives audiences the opportunity to see and hear both overlooked and celebrated musicals of the past.